I saw you were using the new design today, but now I see you are using the original one! I would like to please use the snazzy black border for after Halloween, I dig it! Me thinks you had the right call on the orange for Halloween, it is lively and fun. Well, then, seahorse, we need to remove the jack 'o lantern from your black border avatar! Your designs are so fun and Ta Da, too I love the green and red design with the flower, for Christmas! I also like the black and gold (designed border) for after Halloween, very sheek. Your talent had no boundaries. I like the freedom in your work, and your imagination. I just am ticked with your designs. The green and red (if I may) use it for Christmas. Would I also be able to use your seahorse Christmas avatar, where the Monkey is wearing the Santa hat? Thank-you for your nifty imagination! are, what do you think? A star of Bethlehem, symbol..
Added the one with flowers you liked. Hi Brandi! I'm loving everyone's Halloween avatars, they are so cool. Are you still doing them? 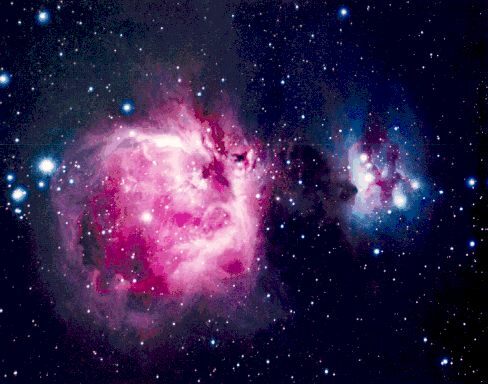 <--------- Can you do anything with my Nebula? I have no idea what can be done, but if this helps, I love creepy and am not a fan of anything cutesy-wootsey. I'll be happy to see what i can come up with for you for Halloween! You have good taste with a lot of good talent. Thank-you, I like the Holly the best. The star is sharp, I adore it, so jazzy and a great symbol of everything good. Thank-you for all your time, talents and good imagination. I wasn't sure how much you wanted your nebula to take center stage .. so here are my designs. 100% creepy and 0% cutesy-wootsey for you! Let me know how you like them or if you have any suggestions. Oh my gosh! I love them all, I don't know which one to pick! Wow. You are so creative! I didn't think there was anything to be done with my nebula, so I'm tickled to see all these choices. My gosh, I can't stop looking at these. Yeeeeee! I love them all...but the flying witch was the clincher for me. That glowing light effect is awesome! If it's not too much to ask, perhaps orange spooky glowing windows and/or a few scary glowing pumpkins on the lawn? Man, I love Halloween! I can't believe how excited these avatars have made me. OMG, I sound like a goofy little child, don't I? I'll shut up now. I'll work on your suggestions tonight. Did you notice in some of your designs that the nebula flashes? Took your preferences and came up with these. Did we find a winner yet?